Happy December, Friends! Welcome to this week’s Friday Favorites party! This week we have so many fun ideas for the holidays! I’m sure that you will enjoy each and every one of them! Please take a moment to look around, and as always I invite you to share your ideas with us so that we may feature you here! PS – Please be sure to tune in for next week’s party, where we will have a fun Christmas giveaway from my Etsy shop! Hi everyone! Happy Thanksgiving! And welcome to this week’s Friday Favorites party! I hope you’re having a lovely holiday week, and I appreciate you taking the time away from your holiday festivities to spend a moment with us. While you’re here I invite you to check out our giveaway from Leroy Lime. The giveaway is for a sweet piece of Christmas tree garland, and we have a lot of easy entry options for you! I’d also like to take a second and invite you by my Etsy shop this weekend. I sell hand stamped Christmas ornaments and jewelry, and for the holiday weekend, I’m offering customers 10% off with coupon code GIVETHANKS. Hey guys! I’m very excited to be celebrating the holidays again with Six Weeks of Christmas Treats. Today we have our first several guest posts that we will have throughout the season. Our first guest is Carrie from A Mother’s Shadow. Please be sure to go over to her blog and say hi. 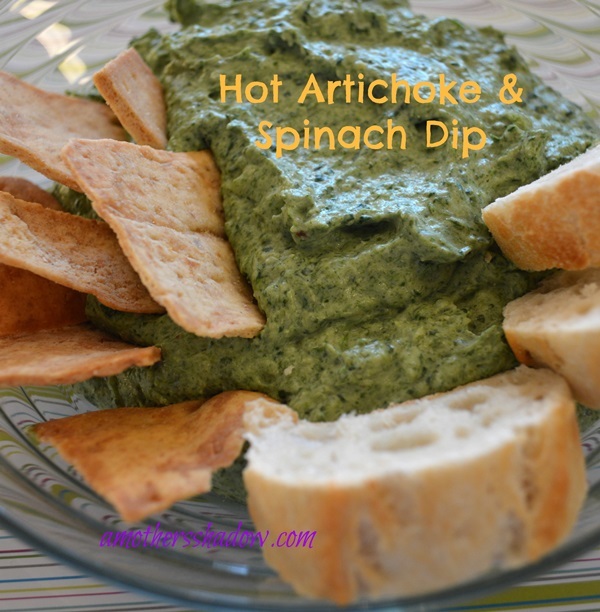 But first please check out Carrie’s take on one of my favorite appetizers, Spinach & Artichoke Dip! Hi, my name is Carrie and my site is A Mother’s Shadow. Come by for ideas of practical life skills, suggestions of how to be self-reliant, and suggestions for how to serve others, as well as inspiration and tools to strengthen family. I hope you will come by often and leave feeling refreshed, motivated and encouraged in your journey. A wonderful dip for the holidays. 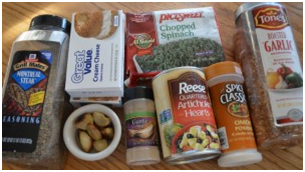 Easy to make ahead and warm in the crock pot, a crowd favorite. Cook spinach according to package directions. 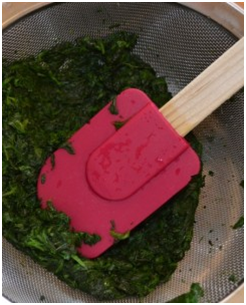 In a colander, drain the spinach; pressing with the back of a spoon to remove excess moisture. 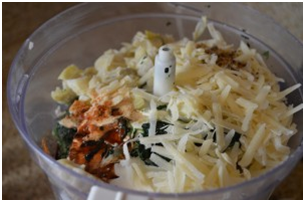 Combine in a food processor or with a hand mixer. 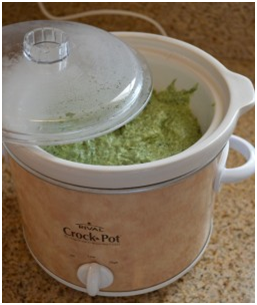 Pour into a small crock pot to heat through slowly. Serve warm with crackers, pita chips baguette French bread or cut-up vegetables. Thanks again to Carrie for being here today. Be sure to visit her over at A Mother’s Shadow. And follow her over on Facebook, Twitter and Pinterest. Hey everyone! Welcome to this week’s edition of Friday Favorites! After linking up today, please check my sidebar for some great giveaways. One of them even includes a Williams-Sonoma gift card! Please check them out and support our sponsors! Thanks!